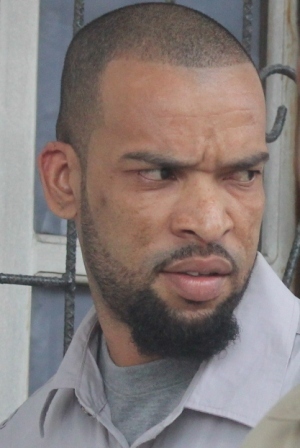 A security guard will stand trial for the murder of forty-one year old Wilmer Cisneros which occurred at Blue House Bar on April twenty-fifth, 2015 in Ladyville. Cisneros lost his life in what relatives say was a senseless killing. He was stabbed to the abdomen and chest while his friend thirty-year old Roger Jimenez received a cut to the shoulder. This morning, thirty-two year old Darion Hamilton, a Security Guard was remanded to the Belize Central Prison until July twenty-second, 2016. A preliminary inquiry is set for August eleventh, 2016. Cisneros’ relatives say that he was murdered over a ten dollar charge to enter the bar. His sister, Carolina Herrerra told the media that Cisneros and friend arrived at the bar even before the charge was being collected and when they were approached, they decided to leave the bar. But they were attacked by two persons who injured Jimenez and killed Cisneros. According to CIB Head of Eastern Division, Superintendent Hilberto Romero, their investigations have revealed that Cisneros and his friend were approached by the security guards of the establishment regarding the payment for the entrance fee. That led to the fight in which someone pulled out a knife and inflicted the injuries on Jimenez and Cisneros.